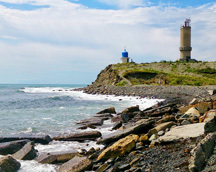 Gelendzhik. 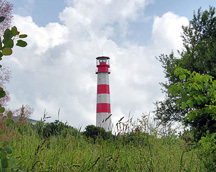 Lighthouse at Cape Tolstiy. 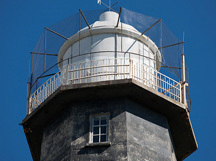 This lighthouse is located 5 kilometres (3.1 mi) south of Gelendzhik. Thick cape of Gelendzhik - a southern extremity. 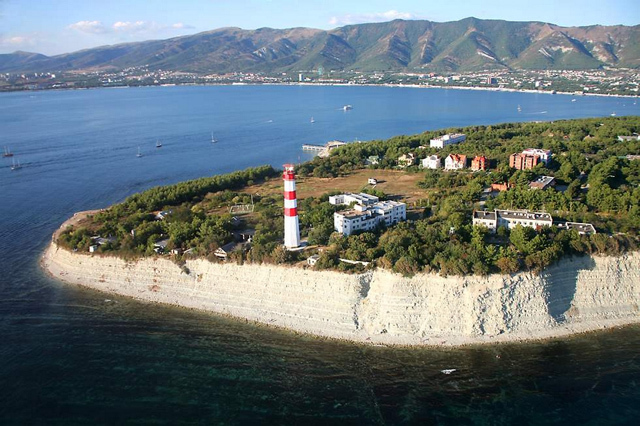 If you look at Gelendzhik Bay, the Cape is thick on the left and the right Thin cape. Thick it is called because the height of the coast in certain areas reaches 15 meters. 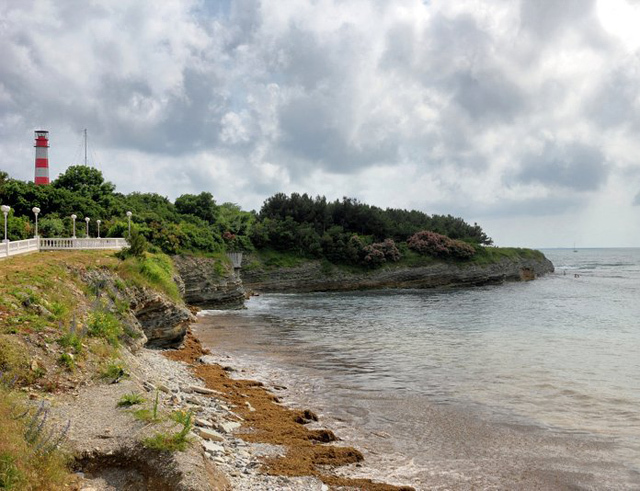 The gentle slopes and wide pebble beaches only to the sanatorium "North Star." 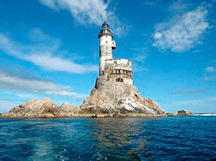 On Tolstoy Cape Gelendzhik is the famous lighthouse. 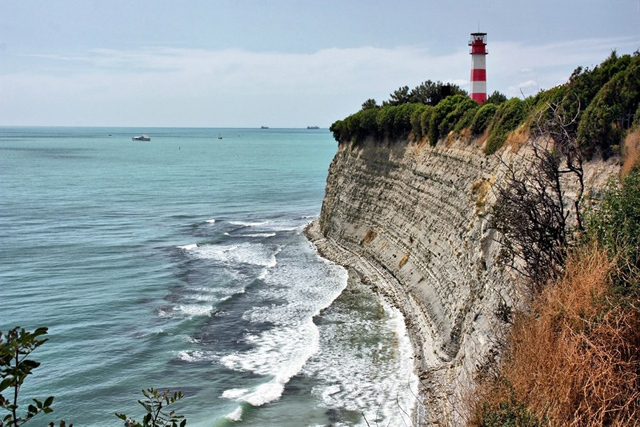 It is visible almost from any point of Gelendzhik. 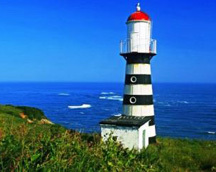 Dark nights of the lighthouse on the southern Cape Tolstoy bright flashes ships in the Black Sea.